With chunky figures perfect for little hands to grab and realistic sounds, the Chad Valley Tots Town Playground is loads of fun. There are many joyful things for the Tots to play on including a to and fro swing, a nursery rhyme playing spinning roundabout and a rocking car to ride (Size H16, W30, D22cm). 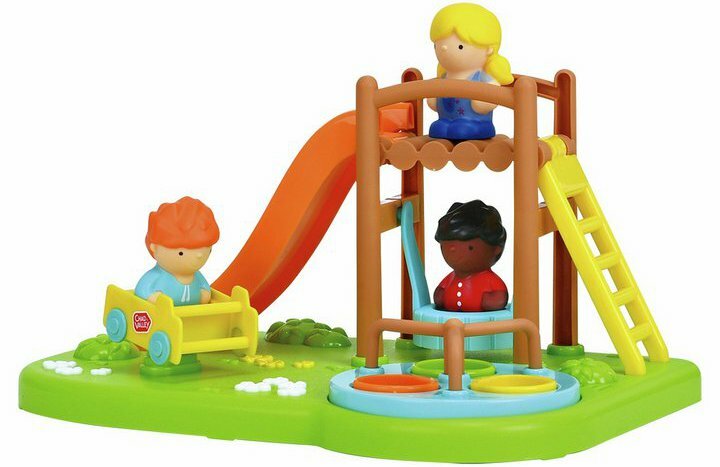 Get money off with April 2019 free Argos voucher codes, see if there's a discount code for the Chad Valley Tots Town Playground Playset product. 4.4/5 from 31 recent reviews.